A Tudor Prince Date Chronograph with a black dial and white Arabic numerals. 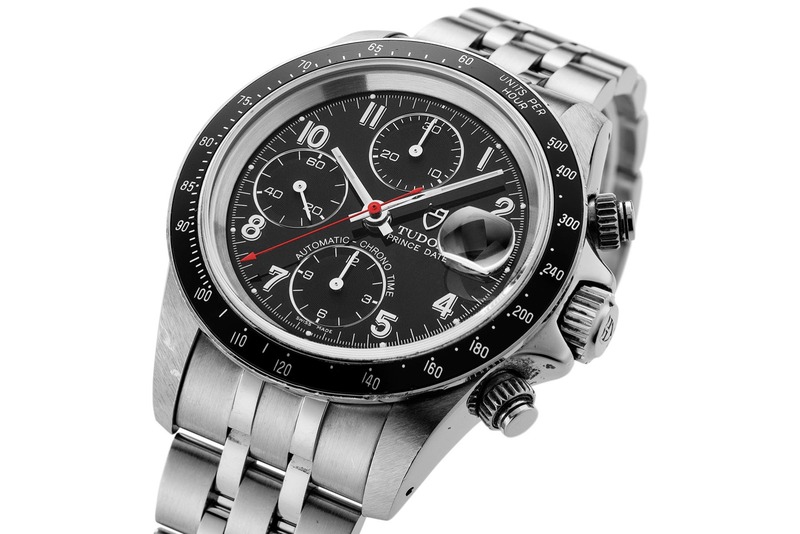 The sub dials are also black, displaying a tone-on-tone look only interrupted by the red central chronograph hand. This Tudor Prince is in good condition. The case and bezel show some signs of wear. The steel bracelet is in good condition with minimum stretch. Our pictures are an important part of the condition report – please scrutinize them in detail and feel free to ask any questions. Condition: This Tudor Prince is in good condition. The case and bezel show some signs of wear. The steel bracelet is in good condition with minimum stretch. Our pictures are an important part of the condition report – please scrutinize them in detail and feel free to ask any questions. This product will be dispatched in 3 working day(s). Should you need to return an item, you have 7 days from receiving your order to request a return and send it back to us. The Prince Chronographs were Tudor’s fourth series of chronographs. 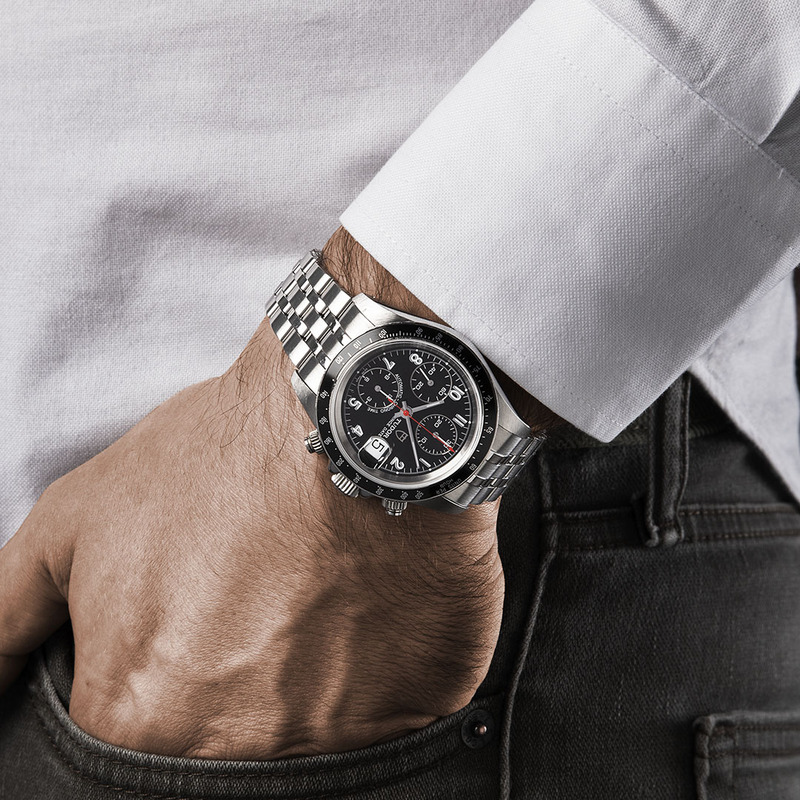 The 79200 series were launched in 1995 and had a much sleeker case compared to earlier Tudor chronographs. Much like the Daytonas of the era, the Princes wore a low profile on the wrist with the introduction of the sapphire crystal. Tudor introduced a new dial version with the Prince Chronos. Alongside the applied baton marker dials, they also offered dials with printed Arabic markers. 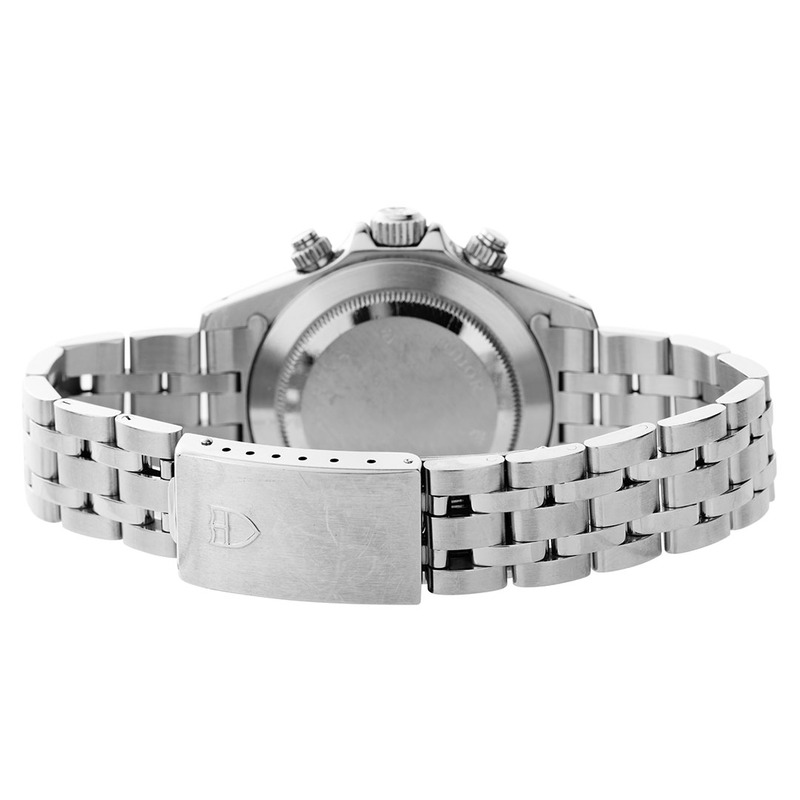 The Prince Chronos heralded a new bracelet design that took over from the Oyster bracelet. The five-link bracelet was a hybrid of the Jubilee and Oyster bracelets. 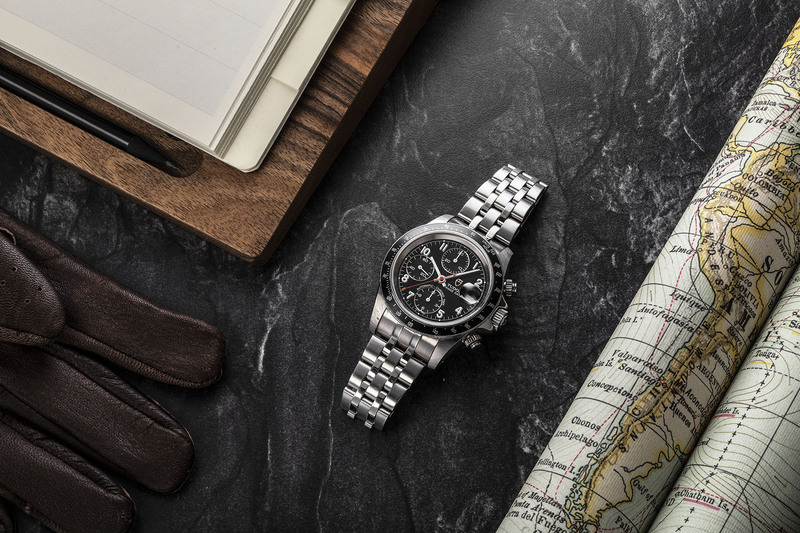 The 79260 is distinguished by its black tachymeter bezel. There were three different bezel types on the Tudor Chronos, each with a different reference number.